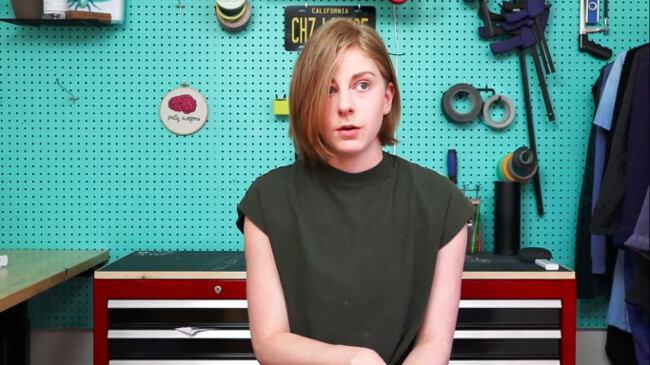 Simone Giertz may be the internet’s favorite amateur roboticist, a familiar face to many for her series of funny YouTube videos. But her inspiring stories about building technology have now turned into an even bigger story about bravery in the face of a major medical procedure. And she’s taking her audience along with her. She’s become famous for her willingness to launch playful experiments with technology. Giertz’s most iconic robot is probably her “Wake-up Machine” — the plastic-hand alarm clock that slaps her face to wake her up. But it’s her intelligent sense of humor — along with a cheerfully deadpan delivery — that’s made her a star on YouTube, where video after video chronicles the zany adventures that seem to be her life. 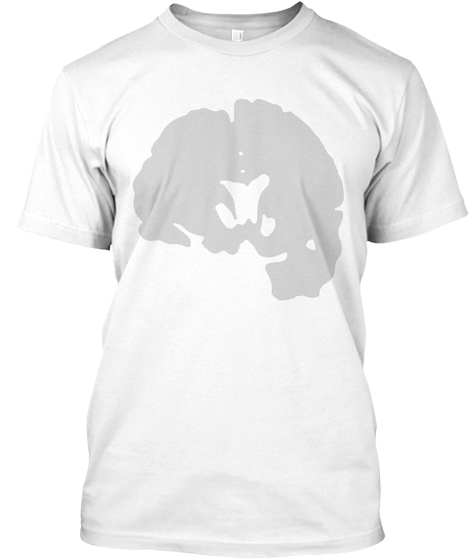 Soon she was even selling t-shirts with a photo of her brain scan — and had gone back to producing videos of her funny science experiments. In her video, she explains that the tumor is growing in “an area that’s too dangerous to perform surgery on.” Her voice seems to catch as she reminds her audience that she’ll now undergo radiation therapy, but then she laughs instead as she reveals that her radiation oncologist is named “Dr. Deep.” Still laughing, she says “We’ve set up a treatment plan, and I’m going to need radiation from Monday to Friday for six weeks.” It started on Wednesday. She acknowledges in her video that radiation therapy is scary, that it has “really terrible side effects,” and that she’s just “trying to not fret over that… But, yeah. It’s just been a lot to deal with,” she said. Her Patreon account surged with supporters, and now shows 6,357 patrons which, even at the lowest $3-a-month level, will bring her $19,000 a month. This week on Twitter she began posting updates as she counted down the 30 radiation treatments, one by one. Whatever happens next, Giertz’s story is ultimately a reminder that nobody walks alone, as across the internet, day after day — on Facebook, Reddit, Patreon, and YouTube — Giertz’s fans kept on sending her endless waves of encouragement. “I aspire to be as emotionally intelligent and as mentally stable as you are,” posted one fan on Reddit, adding an encouraging “Stay strong. Multimedia artist helps celebrate new public domain works with a new musical history of the Internet. Scientists finally know what time it is on Saturn. “Machine learning music” composed using re-synthesized fragments from 100s of terabytes of orchestra recordings.